Marek Janowski ends the month with a return to the Berlin Philharmonic, conducting an all-Bruckner programme in three concerts from 30 January 2019. Janowski leads the orchestra in Bruckner Mass No.2 in E minor and Symphony No. 6. The third concert, on 1 February, will be available to watch online via the orchestra’s Digital Concert Hall. Janowski’s performance of Bruckner Symphony No.4, recorded in September 2017, is also available on the Berlin Philharmonic’s Digital Concert Hall; click here to watch the performance. Marek Janowski returns to Paris in January to conduct the Orchestra Philharmoniqe de Radio France in performances of Beethoven Symphony No.9 on 5 and 6 January 2019. The performances will be broadcast on France Musique on 31 January. The following week, Janowski returns to the NDR Elphilharmonie Orchestra to conduct an all-Wagner programme on 10, 11 and 12 January. This is followed by a return to the Stuttgart Staatsoper orchestra for performances of Bruckner Symphony No.8 on 20 and 21 January. Marek Janowski will return to Japan to conduct the NHK Symphony Orchestra’s annual performances of Beethoven Symphony No. 9, with concerts on 22, 23, 24, 26 and 27 December. On 29 and 30 November 2018, Lise Davidsen and Sofia Fomina perform Der Freischütz with the Frankfurt Radio Symphony Orchestra under the baton of Marek Janowski. Davidsen sings the role of Agathe and Fomina sings the role of Ännchen in the performances in Frankfurt, which will later be released as a recording. Davidsen made her debut in the role in 2016 at Opernhaus Zürich where she will return later this season in her role debut as Elisabeth Tannhäuser, a role she later performs at Bayerische Staatsoper and in her debut at the Bayreuth Festspiele. Other highlights include a role debut as Liza The Queen of Spades at Oper Stuttgart, Sieglinde in Die Walküre with the Antwerp and Toronto Symphony orchestras and Strauss Vier letzte Lieder with the Bergen Philharmonic Orchestra. This marks Fomina’s debut in the role of Ännchen and follows an acclaimed return to Bayerische Staatsoper as Gilda Rigoletto. Upcoming highlights include a role and company debut as Pamina in a new production of Die Zauberflöte at Glyndebourne Festival and a return to Bayerische Staatsoper as Fiakermili Arabella. Further ahead she makes her debut in the title role Manon. Marek Janowski returns to Dresden this month to conduct two programmes with the Dresden Philharmonic. On 13 and 14 October he leads a programme of Berlioz Les nuits d'été and Richard Strauss Symphonia domestica. On 20 and 21 October he then conducts Haydn Symphony No.100 in G major 'Military' and Bruckner Mass No.3 in F minor. "Janowski led a performance of fine balance and rhythmic verve with the trademark mellow Dresden brass which had also been in evidence at the previous week’s Bruckner 9. With resounding fanfares and characterful woodwind, he delineated all the colours like a medieval illumininated manuscript." The Dresdner Philharmonie has announced that Marek Janowski will be their new Principal Conductor from the 2019/20 season. Janowski was previously Principal Conductor of the orchestra between 2001 and 2004. Janowski’s return to the orchestra coincides with the recent opening of the new Kulturpalast concert hall which was reopened in 2017. "We are gaining a highly respected acclaimed maestro in the international world of music. With his experience with top orchestras all over the world and his technical mastery, he will make the most of the excellent acoustics of our concert hall and will make our orchestra’s artistic quality even more fruitful." "For Dresden as a city of music and for the Dresdner Philharmonie, it is a stroke of luck to have recruited a conductor as experienced and internationally renowned as Marek Janowski to lead them. He will position the orchestra and concert hall on the international stage even more strongly. As Dresden’s deputy mayor responsible for culture, I am especially pleased that Dresden is supported on the path to the “Capital of Culture” 2025 by excellent partners: the Dresdner Philharmonie and Marek Janowski." "We, the musicians of the Dresdner Philharmonie, are looking forward to collaborating with Marek Janowski again. He embodies the utmost precision, perfection in sound and rigorous artistic demands. In addition, when Maestro Janowski returns to conduct the Dresdner Philharmonie, we will be headed up by a conductor very familiar with the orchestra, its impressive culture of sound and the audience in Dresden." 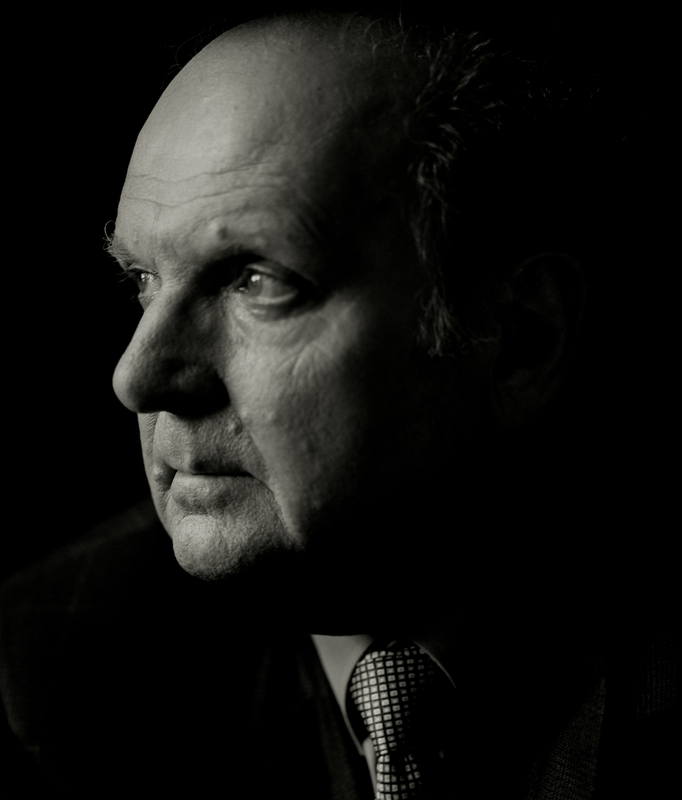 On 8 September 2018, Marek Janowski will return to the Royal Danish Theatre to conduct the orchestra in a programme including Wagner Siegfried Idyll, Strauss Four Last Songs and Brahms Symphony No.3 in F major. “[Janowski] delivered distinguished, rewarding performances of this music...He led the entire program – including Wagner’s lovely “Siegfried Idyll” – entirely from memory." Marek Janowski returns to the Bamberg Symphony on 13 July 2018 to conduct a concert at Regentenbau, Bad Kissingen. Arabella Steinbacher is the soloist in Mendelssohn Violin Concerto, and Janowski also conduct the orchestra in Schubert Symphony No.3 and Strauss Metamorphosen. A regular guest with the Bamberg Symphony, earlier this season Janowski conducted the orchestra in a programme of Webern, Schumann and Strauss. Marek Janowski returns to the Orchestre Philharmonique de Radio France at the Maison de la Radio in Paris on 25 May 2018. Janowski conducts the orchestra in a programme of Bartók Divertimento for String Orchestra, Wagner Siegfried Idyll and Brahms Symphony No.4. Janowski was the Musical Director of the orchestra between 1984 and 2000, taking the orchestra to a position of pre-eminence in France and in Europe. Elsewhere in May, Janowski conducts Beethoven Symphony No.3 'Eroica' with the Graz Philharmoniker Orchestra on at the Musikverein für Steiermark in Austria 14 and 15 May. Marek Janowski conducts two performances with the Bamberg Symphony Orchestra on 13 and 14 April 2018. Janowski is joined by Francesco Piemontesi, who performs Schumann Piano Concerto in A minor. The programme is completed with Webern Im Sommerwind and Richard Strauss Symphonia Domestica. Janowski and Piemonesti have performed together previously in Berlin, Frankfurt and Dresden. Click here to watch their performance of Liszt Piano Concerto No.2 with the Frankfurt Radio Symphony Orchestra. “Francesco Piemontesi made a poised first entry and went on to entrance with many poetic responses, generously expressed… and the finale… had leeway and delicacy, Schumann’s closely-woven counterpoint always clear. This was a fresh and meticulous account of an old favourite finding pianist and conductor in harmony"
Marek Janowski ends the month in the United States as he returns to the National Symphony Orchestra for three concerts at the Kennedy Center on 22, 23 and 24 February 2018. Janowski conducts the orchestra in a programme of Brahms Symphony No.1, Weber Overture to Euryanthe and Bruch Violin Concerto with Stefan Jackiw. Marek Janowski returns to Hungary this month to conduct the Budapest Festival Orchestra in four concerts on 12, 13, 14 and 15 February 2018. Of his last visit in October 2015, Revizor referred to him as “a surgeon with a conductor’s baton”. This time he conducts Strauss Alpine Symphony, combined with Korngold’s Violin Concerto performed by Arabella Steinbacher. Prior to his sojourn in Budapest, Janowski conducts two concerts with the WDR Sinfonieorchester Köln on 2 and 3 February where the programme also includes Strauss Alpine Symphony, this time combined with Hayden Symphony No.85 “The Queen of France” and Hindemith Kammermsik No.4, Op.36, No.3. Janowski rounds off the month in Washington DC, conducting a programme of Bruch and Brahms with the National Symphony Orchestra. Marek Janowski and Francesco Piemontesi return to the Dresden Philharmonic this month, performing Bartok Piano Concerto No.3 on 13 and 14 January 2018. Janowski also conducts Bruckner Symphony No.9. Following this, on 19 and 21 January Janowski conducts Weber Euryanthe with the orchestra and soloists Emily Magee, Catherine Foster, Christian Elsner, Steven Humes, and Egils Silins. Marek Janowski returns to Switzerland this month for two concerts with the Lucerne Symphony Orchestra on 6 and 7 December 2017. Janowski conducts a programme of Mozart Overture to Don Giovanni, Mahler Kindertotenlieder with mezzo soprano Elizabeth Kulman and Robert Schumann Symphony No.4. "Freed from score and music stand, Janowski comfortably settled in for the long haul, scrupulously burnishing the changing textures and rigorously sustaining purpose and momentum"
He begins the new year with the Dresden Philharmonic, conducting a programme of Bartók Piano Concerto No.3 with soloist Francesco Piemontesi and Bruckner Symphony No.9. Marek Janowski returns to the Frankfurt Radio Symphony Orchestra on 16 and 17 November 2017 alongside his fellow Intermusica artist Francesco Piemontesi. Janowski conducts a programme of Wagner's Overture to Der fliegende Holländer and Schumann Symphony No.2, with Piemontesi joining him to perform Liszt Piano Concerto No.2. Elsewhere this month, Janowski returns to the NHK Symphony Orchestra in Tokyo on 11 and 12 November, conducting a programme on Hindemith and Beethoven. Janowski has worked regularly with the NHK Symphony Orchestra, conducting Wagner’s Ring Cycle in concert performances with the orchestra at the Tokyo Spring Festival over several seasons. He also returns to the Hamburg Philharmonic Orchestra on 5 and 6 November, performing R. Strauss' Closing Scene from Capriccio and An Alpine Symphony with soprano Michaela Kaune. Following the performances in Frankfurt, Piemontesi travels to Munich for a repeat performance of Liszt Piano Concerto No.2 with the orchestra of the Bavarian State Opera and Cristian Măcelaru on 20 and 21 November. On 23 and 24 November he also joins Lahav Shani and the Rotterdam Philharmonic for performances of Ravel’s Piano Concerto. Marek Janowski returns to the Orchestre National de France on 19 October 2017 for concert at Maison de la Radio. Xavier Philips joins Janowski and the orchestra as the soloist in Hindemith Symphonic Metamorphosis of Themes by Carl Maria von Weber. The programme also includes Prokofiev Sinfonia concertante and R. Strauss Metamorphosen. The concert will be broadcast live on Radio France. Janowski returns to the music of Strauss with the Hamburg Philharmonic and soprano Michaela Kaune in November. Further highlights for Janowksi include concerts in the United States with the National Symphony Orchestra and Cincinnati Symphony, in Japan with the NHK Symphony Hall and across Europe with orchestras including the Budapest Festival Orchestra, Frankfurt Radio Symphony, Luzerner Symphoniker and Dresdner Philharmoniker. “[Janowski] knows Bruckner inside out – music stand ushered away – and gave an invigorating account of the rugged Seventh... There were no great histrionics – the music doesn’t demand it – but a sense of quiet authority, Janowksi encouraging the musicians to listen to each other, balancing his forces expertly." Marek Janowski returns to Bayreuth on 29 July 2017 to begin this years’ Ring Cycle. „Janowski also jetzt in Bayreuth: eine Legende. Sein „Ring“ mit der Staatskapelle Dresden aus den frühen 80ern gehört zu den Klassikern im Plattenschrank, zuletzt zelebrierte er die Wagner-Werke groß und konzertant auch für die CD als langjähriger Chef des Berliner Rundfunk-Sinfonieorchesters." „Richard Wagners Musik ist bei Marek Janowski in guten Händen." Renowned for his interpretations of Wagner and the German tradition, Janowski has conducted and recorded a complete Wagner opera cycle with the Radio Symphony Orchestra Berlin. "The real stars of this Ring are the Berlin Radio Symphony Orchestra and Choir, the conductor and the recording team... Janowski's handling of Wagner's orchestral transitions is particularly effective... this is the sound of a Ring for the 21st century." One of Germany's foremost interpreters of Wagner, Marek Janowski conducts four semi-staged performances of Das Rheingold with the NDR Elbphilharmonie Orchester this month. With soloists including Katarina Karnéus as Fricka, Michael Volle as Wotan and Johannes Martin Kränzle as Alberich, performances take place at the Hamburg Elbphilharmonie on 26 and 27 May, followed by two further performances at the Konzerthaus Dortmund on 29 May and the Festspielhaus Baden-Baden on 3 June. Marek Janowski returns to the Dresden Philharmonic on 13 and 14 May 2017 for two performances of Bruckner Mass No.2 and Symphony No.6. Janowski was Principal Conductor of the Dresden Philharmonic from 2001 to 2004. While in Dresden, he also conducts the Dresden Philharmonic Chamber Orchestra in a performance of Stravinsky Concerto in D 'Basel', Haydn Violin Concerto in C major and Schoenberg Verklärte Nacht on 21 May. "Janowski is a rare visitor to London these days but he knows Bruckner inside out – music stand ushered away – and gave an invigorating account of the rugged Seventh... There were no great histrionics – the music doesn’t demand it – but a sense of quiet authority, Janowksi encouraging the musicians to listen to each other, balancing his forces expertly." "Undaunted by the scale of work, Janowski and the WDR Sinfonieorchester Köln tackled Bruckner’s awesome structures with resilience and assurance conveying a rich orchestral sonority. Conducting without a score Janowski’s spacious dynamics were masterful culminating in incandescent climaxes of remarkable potency... I’ve never heard a finer performance of Bruckner 9, undoubtedly one that will live long in the memory." Marek Janowski makes a rare appearance in London on 26 April 2017 when he conducts the London Philharmonic Orchestra at the Royal Festival Hall. Janowski is joined by bass-baritone Egils Silins who performs Wotan’s "Farewell" and "Magic Fire Music" from Wagner Die Walküre. The programme opens with the Overture from Wagner The Flying Dutchman and is completed by Bruckner Symphony No.7. Marek Janowski completes his Ring Cycle at the Tokyo Spring Festival with performances of Götterdämmerung at Tokyo Bunka Kaiken on 1 and 4 April 2017. The cycle began in 2014 with Das Rheingold. Janowski conducts Wagner again later in the month when he leads the London Philharmonic Orchestra and bass-baritone Egils Silins in a programme of extracts from Der fliegende Holländer and Die Walküre. The concert ends with a performance of Bruckner Symphony No.7. Marek Janowski makes a return to the San Francisco Symphony this month, conducting three concerts at Louise M. Davies Symphony Hall on 9, 10 and 11 March 2017. Janowski, a pre-eminent conductor of Germanic repertoire, leads the orchestra in a programme of Beethoven Coriolan Overture, Hindemith Violin Concerto with soloist Arabella Steinbacher and Brahms Symphony No.4. Earlier in the month Janowski conducts the orchestra of the Music Academy of Mannheim in a programme of Wagner 'Prelude' and 'Liebestod' from Tristan und Isolde and Wesendonck Lieder as well as Bruckner Symphony No.3 in D minor ‘Wagner-Symphonie’. The performances take place on 9 and 10 January at the National Theater Mannheim. Marek Janowksi steps in to conduct the Berlin Philharmonic for three performances of Verdi Requiem on 12, 14 and 15 January 2017, replacing Riccardo Chailly. The soloists are Maria José Siri (soprano), Daniela Barcellona (mezzo-soprano), Roberto Aronica (tenor) and Riccardo Zanellato (bass). Click here to watch Janowski discuss the piece prior to his performance with the RSB. Marek Janowski ends the month with three performances of Strauss Ariadne auf Naxos with the Wiener Staatsoper at Tokyo's Bunka Kaikan on 25, 28 and 30 October 2016. 2016 marks the centenary of the opera, which received its premiere at the Wiener Staatsoper in 1916. Marek Janowski conducts the Ring Cycle at this summer’s Bayreuth Festival, which begins with Das Rheingold on 26 July and ends on 25 August 2016. A renowned interpreter of the German tradition, Janowski conducted concertante performances of all of Richard Wagner’s operas in the Berlin Philharmonie during his tenure as Chief Conductor and Artistic Director of the Radio Symphony Orchestra Berlin. The cycle was recorded for Pentatone and released as a 13-disc set in May 2016. "The opening of Das Rheingold immerses us in a thrilling sound world, with playing of uncanny accuracy and energy... This is the sound of of a Ring for the 21st century." “The Marek Janowski Dresden set provides a lively, modern, all-round performance from conductor, cast, orchestra and recording team”. Janowski is also conducting the Ring Cycle over four seasons at the Toyko Spring Festival, concluding with Götterdämmerung in April 2017. He returns to the Bayreuth Festival in 2017. Marek Janowski joins the WDR Sinfonieorchester Köln and Arabella Steinbacher at the Dresden Musikfestspiel on 20 May 2016. On 20 May Janowski conducts a programme of Vaughan Williams The Lark Ascending, Chausson Poème, and Bruckner Symphony No.9 in D minor. The following day they perform Mozart Violin Concerto No. 5 and Bruckner Symphony No. 9 in Stuttgart. Janowski also travels to Poland this month to conduct the Warsaw Philharmonic Orchestra in two performance of Beethoven Symphony No.8 and Schubert Symphony No.9. Marek Janowski returns to Japan on 7 April 2016 to continue his Ring Cycle at the Tokyo Spring Festival with two concert performances of Wagner Siegfried. Marek Janowski returns to the Frankfurt Radio Symphony Orchestra for two concerts with Alisa Weilerstein on 3 and 4 March 2016. The programme for the concerts includes Schumann Symphony No.3 and ‘Manfred’ Overture and Hindemith Cello Concerto, performed by Weilerstein. The following week he conducts three performances with the Bamberg Symphony Orchestra in Schweinfurt and Bamberg. The programme features Wagner Siegfried Idyll and Wesendonck Lieder sung by Elisabeth Kulman, and Bruckner Symphony No.3. 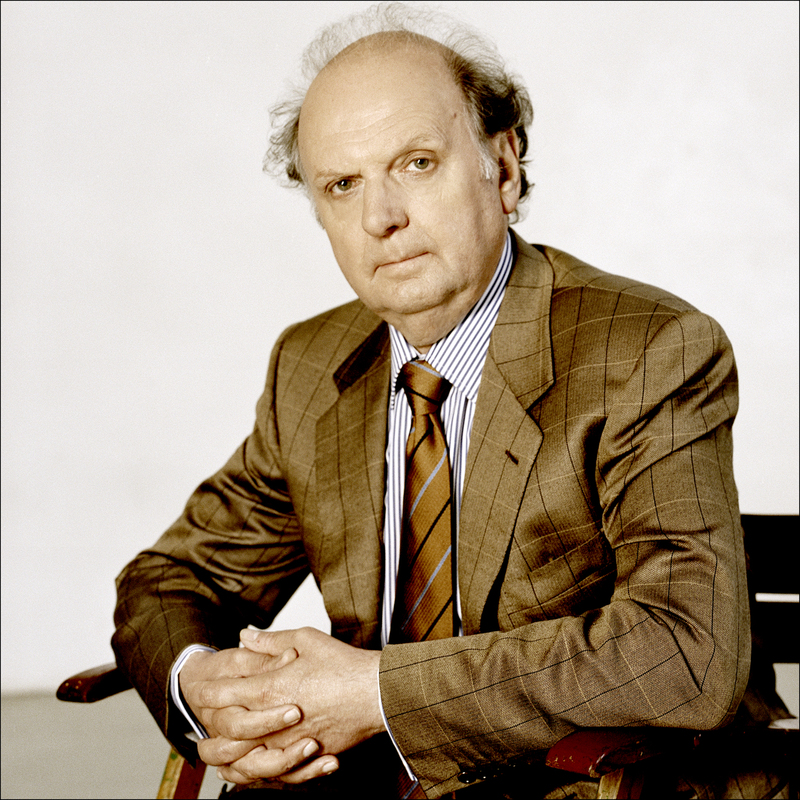 Marek Janowski returns to the Orchestra of the Royal Danish Opera to conduct a symphonic concert on 5 February 2016. The programme includes Beethoven Fourth Symphony, often overshadowed by the more often performed Third and Fifth Symphonies; and Schubert Ninth Symphony ‘The Great’. Schubert was a great admirer of Beethoven, and even though they lived in the same city it is not known if the two ever met. Kirill Gerstein, the Pavel Haas Quartet and Marek Janowski have all been nominated for BBC Music Magazine Awards this year. The Pavel Haas Quartet’s nomination in the Chamber Music section for their recording of Smetana’s String Quartets is further recognition of the universal acclaim it has gathered since its release. In August 2015 the recording was awarded the ‘Best Chamber Music Recording’ prize at the 2015 Gramophone Awards. In a five star review, BBC Music Magazine praised the quartet for their "definite performances in which nothing is taken for granted". Marek Janowski and the Berlin Radio Symphony Orchestra’s recording of two of Richard Strauss’s less often performed works, Symphonia Domestica and Die Tageszeiten is nominated in the Orchestral Category. Click here to vote - voting closes on 19 February. Marek Janowski returns to the San Francisco Symphony on 21 January 2016 to conduct four performances with the orchestra. The programme for the concerts consists of Beethoven Symphonies No.4 and No. 8 and Three Preludes from Hans Pfitzner’s opera Palestrina. Pfitzner’s music is rarely performed outside of Germany, and this will be the orchestra’s first performance of the composer's music. Janowski performed an all-Beethoven programme with the San Francisco Symphony in 2011, of which the SF Chronicle said “Janowski's approach to Beethoven is worth savoring.” Janowski has led the Orchestra in all of Beethoven Symphonies except for Nos. 3 and 9 since he first conducted the orchestra in 1990. He most recently performed with the San Francisco Symphony in 2013 when he led the orchestra in a programme of Schumann and Brahms. 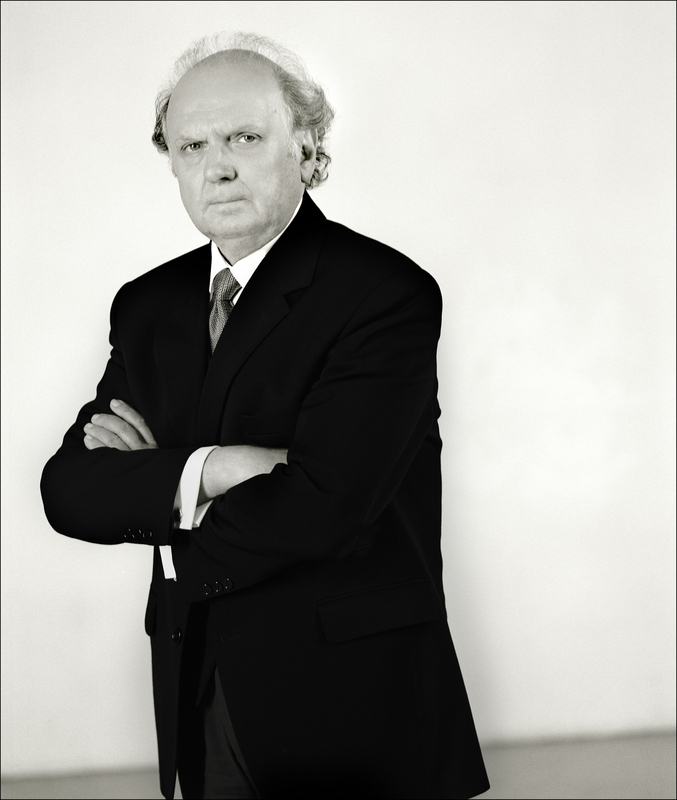 Marek Janowski returns to the Wiener Symphoniker for two concerts on 19 and 20 December 2015. Janowski conducts Schumann's Symphony No.3 and Wagner's 'Siegfrieds Rheinfahrt' and 'Funeral Music' from Götterdämmerung, and Schlussszene der Brünnhilde aus der Oper 'Götterdämmerung' with Catherine Foster. 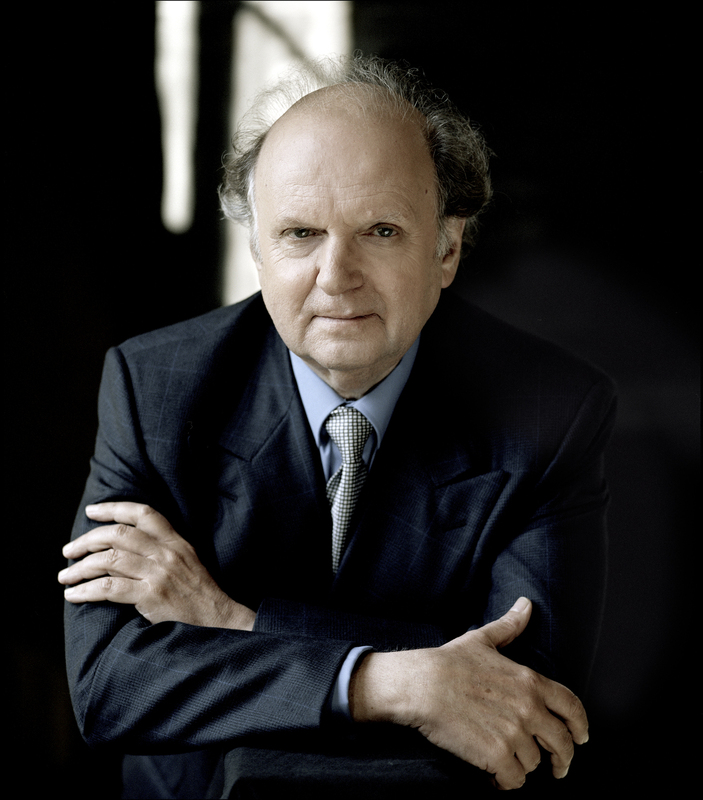 Marek Janowski returns to the Weimar Staatskapelle to conduct two Brahms programmes on 12, 15 and 16 November 2015. On November 12 Janowski conducts Ein Deutsches Requiem with Sophie Klussmann, Egils Silins and the MDR Rundfunkchor Leipzig. The programme on 15 and 16 November includes Brahms’ Nänie, Schicksalslied, Alto Rhapsody with Marina Prudenskaya, and Symphony No.3. Marek Janowski returns to the Budapest Festival Orchestra for four concerts between 15 and 18 October 2015. Janowski and the orchestra perform a programme including Richard Strauss’ Death and Transfiguration, Britten Les Illuminations with Sophie Klußsmann and Sibelius’ Symphony No. 4. Marek Janowski opens the Rundfunk-Sinfonieorchester Berlin’s new season with a concert in the Berliner Philharmonie on 16 September 2015. The programme includes works by Schoenberg, Mahler and Nielsen. Following his concerts with the RSB, Janowski returns to the Westdeutsche Rundfunk Sinfonieorchester Köln for two concerts at Kölner Philharmonieon 29 and 30 May. Janowski and the orchestra are joined by mezzo-soprano Waltraud Meier for a programme of Pftizner Trois Preludes de Palestrina, Hindemith Symphonic Metamorphosis of Themes by Carl Maria von Weber, Wagner Wesendonck Lieder and Strauss Metamorphosen. Marek Janowski returns to the Spring Festival in Tokyo for the second instalment of his four-year project presenting concert performances of Wagner’s Ring Cycle. On 4 and 7 April he will conduct Die Walküre at the Bunka Kaikan Hall in Tokyo. Prior to these performances, Janowski and the Rundfunk-Sinfonieorchester Berlin will tour Asia from 10 March with concerts in Taipei, Seoul, Tokyo, Fukui, Shizuoka, Nishinomiya and Nagoya. The 2014/15 season of the Rundfunk-Sinfonieorchester Berlin under its Artistic Director, Marek Janowski, includes repertoire ranging from Haydn and Bach, through to Beethoven, Bruckner, Mendelssohn and Ravel; plus Britten, Shostakovich and Bartók. Janowski conducts his first concert of the season with the orchestra on 30 September, in a programme of Bach and Beethoven. A highlight of the season will be concert performances of two of Richard Strauss’ operas with powerful female figures at their centres: Daphne and Elektra. Daphne (5 May 2015) will feature Christine Schäfer in the title role, and Elektra (7 May2015) with Catherine Foster. This season will also see Marek Janowski and the orchestra performing with Frank Peter Zimmermann on a tour of Taiwan, South Korea and Japan, in which they will perform works by Sibelius, Brahms and Bruckner. Marek Janowski embarks on a four-year project with the Spring Festival in Tokyo and the NHK Symphony Orchestra when he conducts concert performances of Das Rheingold on 5 and 7 April. The performances are the first part of a complete cycle of Wagner Der Ring des Nibelungen, and take place at the Bunka Kaikan Hall in Tokyo. After Das Rheingold, Janowski extends his stay in Tokyo by a week for two concerts with the NHK Symphony Orchestra. He will conduct Bruckner Symphony No.5 on 12 and 13 April, with a first concert broadcast live on the NHK. Marek Janowski conducts the Vienna Symphony Orchestra at the Konzerthaus, Vienna on 20 February. The programme includes Bruckner Symphony No.5, a piece he recorded for Pentatone with the Orchestre de la Suisse Romande in 2010. “What a terrific surge he achieves into the coda of the first movement but equally how magically he ushers in the moment of recapitulation minutes earlier. Click here for more information about Janowski’s concert with the Vienna Symphony Orchestra. Marek Janowski returns to the Cleveland Orchestra for three concerts on 10, 12 and 13 October in Severance Hall in a programme which includes Fauré Suite from Pelléas and Mélisande, Britten Serenade for Tenor, Horn and Strings with Matthew Polenzani (tenor) and Richard King (horn), and Franck Symphony in D minor. Marek Janowski conducts the second half of the concertante Ring Cycle with the Rundfunk-Sinfonieorchester Berlin this March, which forms the final part of his monumental project performing the complete operas of Wagner. On 1 March, he conducted Siegfried and as the closing concert of the cycle will conduct the orchestra in a performance of Götterdämmerung on 15 March. Janowski also celebrates Wagner’s bicentenary with an all-Wagner programme in Köln and Saarbrücken with the WDR Sinfonieorchester Köln on 25 and 26 May. Click here for further information about the performance of Götterdämmerung on 15 March.